Looking to add a modern touch to your home interior with minimal effort? Introducing the newest addition to our collection of modern dining sets, this beautiful Black Brescia Crossly Glass Dining Set. A lovely dining set which includes four black Brescia dining chairs that have a chrome base and will illuminate a modern feel throughout your home. 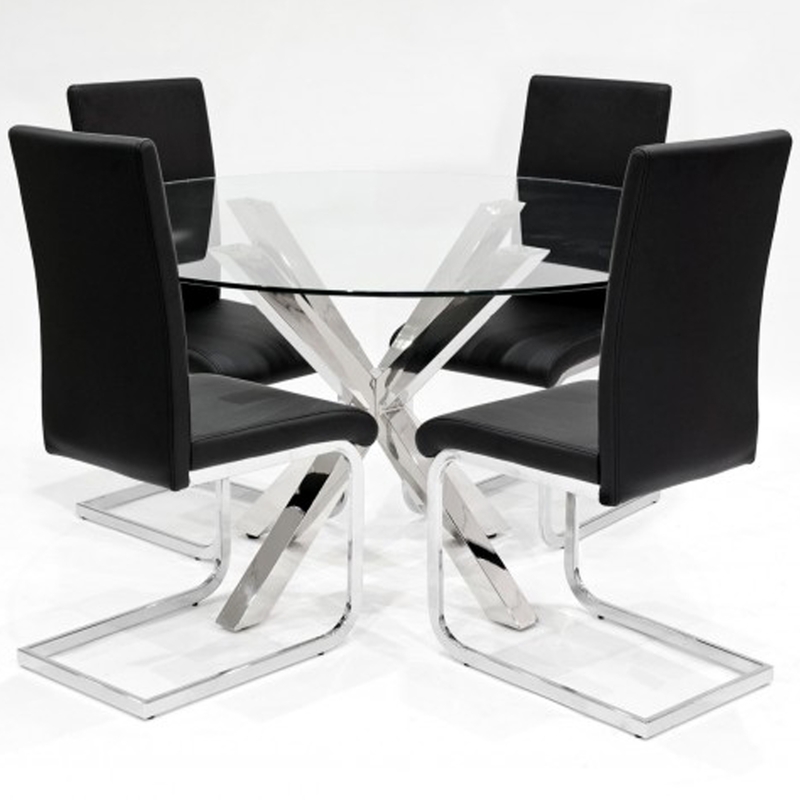 The set is complete with a round glass crossly dining table which also has a chrome base.